Connect everyone easily using Groups! You can use Groups for students who are working on a project, for parents who’d like to communicate with each other, or for staff members to share experiences for best practices. 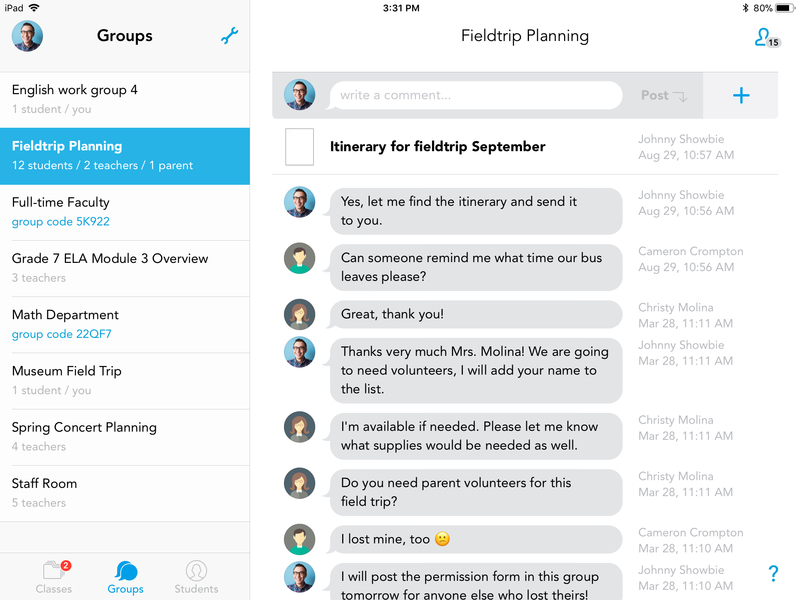 You can even use it to plan your next field trip! In Groups, everyone can stay informed. Parent volunteers are always in the loop and teachers can share permission forms with everyone quickly and easily. Students can easily be accounted for during roll call just by viewing the group members list. That’s just one of the ways you can use Groups! Ready to get creative? Start with this guide to help you with creating one!